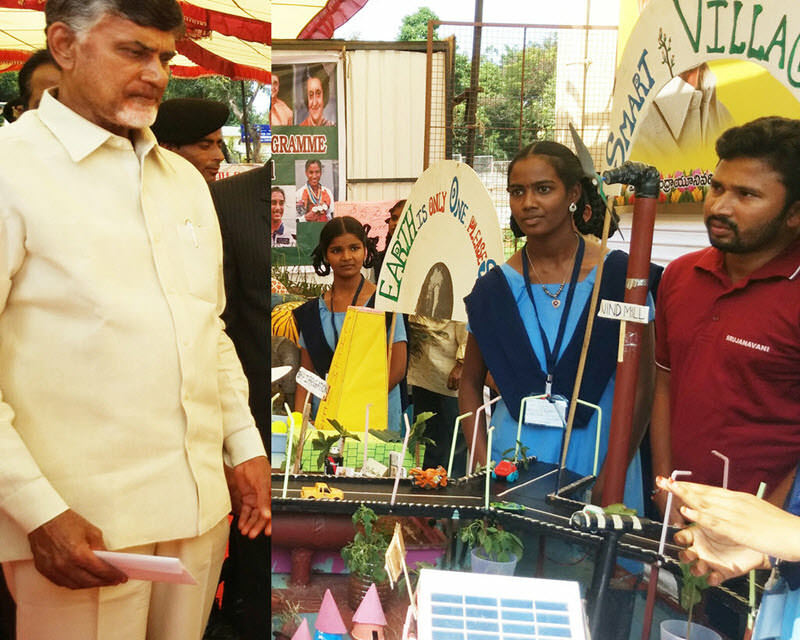 SAC Gopalapatnam students have presented 2 science exhibits at Science Expo organized at Andhra University Convocation Hall on the eve of launching “E-Class Room for Govt Schools” by Honorable Chief Minister of Andhra Pradesh Sri N. Chandra Babu Naidu. CM Chandra Babu Naidu and DEO Venkata Krishna Reddy appriciated our activities and the exhibits by SAC students. SAC students loved working on the projects and had great time during the fair meeting apex leaders of the state and governing officials.